A year after its first stakeholder event in July 2016, the Economy Infrastructure and Skills (EIS) Committee invited a wide range of stakeholders back to reflect on the highlights of the year and to consider the Committee’s emerging priorities for next year. What were the highlights of the Committee’s first year? And what could the Committee have done better? What the key trends or events over the next 12-18 months? Is the timing right and is anything missing in the Committee’s initial thinking about future work? Key themes emerging from much of the discussions were the impact of Brexit and the importance of the Welsh Government’s forthcoming economic strategy. “A year after we first invited a range of stakeholders to inform us about what we should do as a committee, we wanted to hear what they thought of what we have done. And to see what they thought of some of our emerging ideas for the coming year. The clerking team will use the ideas and comments from stakeholders to inform a paper for the Committee to consider in September setting out priorities and inquiries for the coming year. The Assembly’s Economy, Infrastructure and Skills Committee spends a lot of time talking to people in the world of Welsh business. Business rates is one of the issues that arises frequently and provokes strong reactions. It was also an issue that cropped up heavily in our summer consultation when we asked people what work the Committee should be prioritising. For that reason, the Committee decided to hold an early one-day session looking at business rates in Wales. The event was held on 5 October, just days after details of a revaluation of business rates in Wales was published. 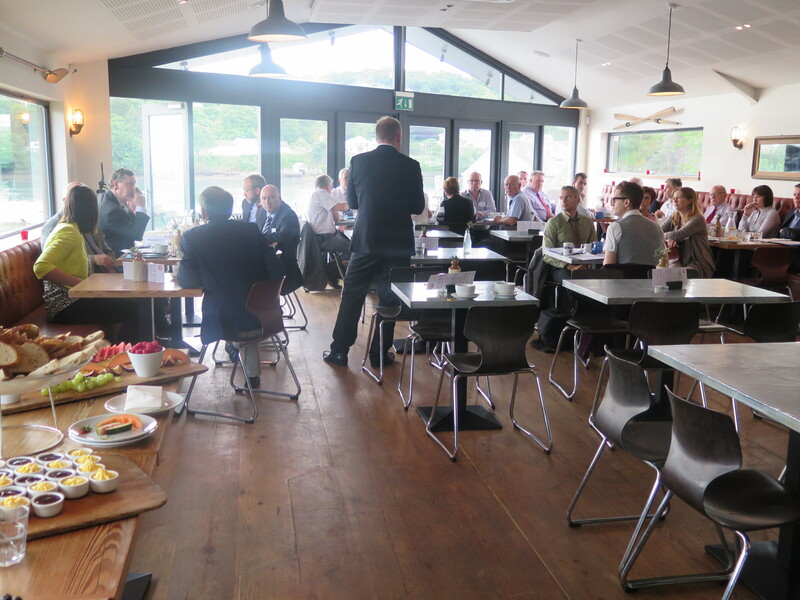 The Committee invited a cross section of business representatives to a breakfast event at the World of Boats in Cardiff Bay on Wednesday to hear their views on the subject. To ensure we got the full picture from businesses Wales-wide, we filmed interviews with businesses across the country, so that we could show attendees a short video, summarising some of the key issues to help stimulate discussion. When we pay business rates we don’t get anything back in return, absolutely nothing…so business rates are a cost to the businesses and there’s no return whatsoever. A successful business rates policy would be based on a calculation of the company’s financial and profitability rather than the rateable value of the premises that they’re currently working out of or the premises that they potentially want to move in to. At the event the biggest discussion points were how rates are calculated, what the money is spent on, whether and how rates could be reduced to promote economic development, as well as specific issues relating to the cost of investment in equipment (e.g. by major industries like steelworks), high street vs. out of town retail, and how holiday rental cottages should be assessed. Later that morning, the committee held a formal meeting in the Senedd, taking evidence firstly from a panel of experts, and then from the Cabinet Secretary for Finance, Mark Drakeford, who is responsible for business rates in Wales. The session, which can be seen on Senedd.tv highlighted the need for greater consistency and transparency when it comes to business rates, a better appeals system, and clarity on any changes that may happen in the future. 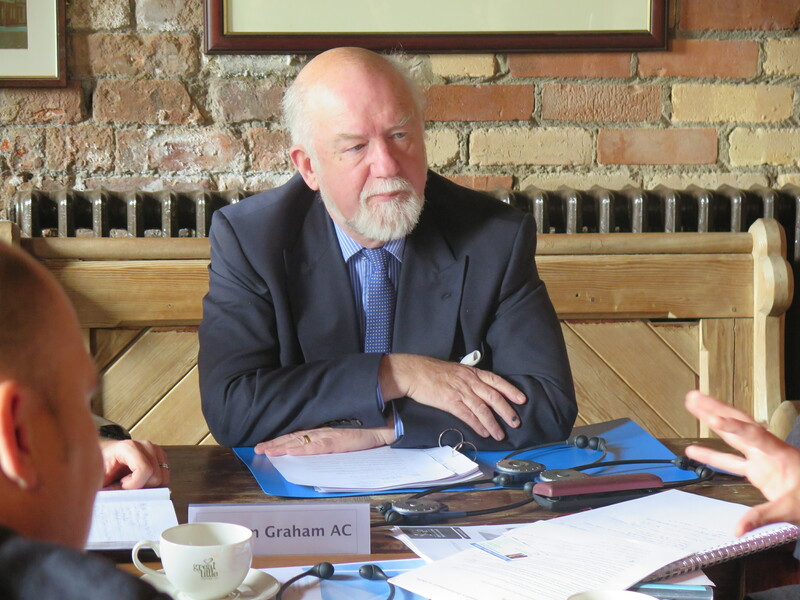 Members made a number of references to what they had heard, from businesses at the breakfast event and from the video interviews, during the Ministerial scrutiny session. At the breakfast session, some participants indicated they might have further information they wished to share with the committee. They have been invited to share that in writing. Once the Committee has considered any additional information, it will discuss its conclusions before writing to the Cabinet Secretary for Finance, with recommendations for improving the current regime. The Committee was established to hold the Welsh Government to account on issues such as economic development; transport; infrastructure; employment; skills; and research and development, including technology and science. Keep up with the work of the Committee by following us on Twitter @SeneddEIS.